These are different from the word go....they are not round and do not have any piece missing from their bodies...what they do have in abundance is flavor. This is made of wholewheat flour, the goodness of coconut and are yet bread like. they crisp on the outside, soft in the middle and have crunchy bites of coconut. The cardamom and coconut makes it aromatic and flavorful. 1) In a large basin, mix the flour with cardamom powder, ghee, salt and sugar. 2) Add the yeast and coconut milk and knead to make a semi stiff dough. 5) Pinch small balls of lemon size. 8) Drain and store in an air tight box after it cools down. Awesome !! I liked the intro text and the addition of coconut too :) bookmarking to try ! This Kenyan doughnuts are in my to do list since a long, now you are tempting me again, they came out extremely prefect Pradnya. I recognize those napkins you have been using in your pictures for this BM. I only used a few and your pictures are tempting me to pull out the stack again. 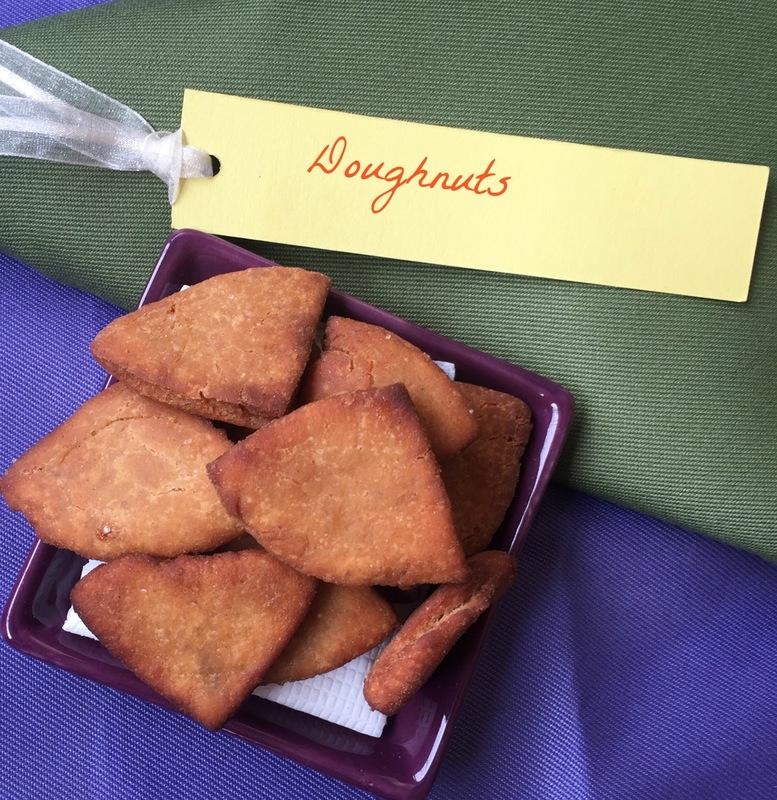 These African doughnuts are different in shape but sound very flavorful. Interesting recipe Pradnya. Must have tasted amazing with coconut and cardamom..
Wow, these doughnuts are nothing like the real ones -- but they have so much more flavor than the real ones :-) Coconut milk must have made them taste amazing. Such an interesting version of doughnuts.With whole wheat and coconut milk they must have tasted awesome. This is a version which is similar to our Sindhi chothas...strange how the cuisines differ and yet are so similar.